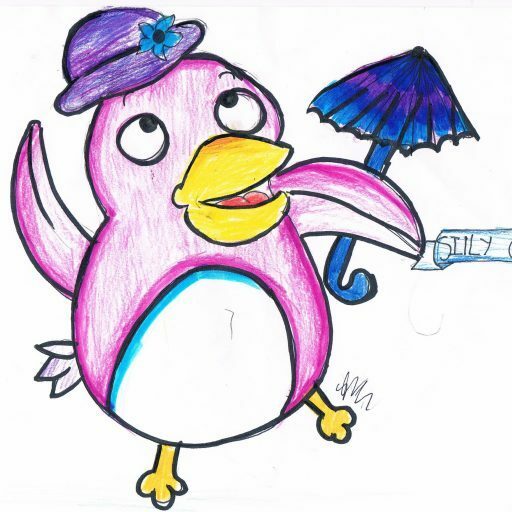 The Silly Goose Blog – Page 2 – For all things creative and fun! Hey guys! I’m back and I have finished the second power girl! I chose to do buttercup and next you will see bubbles! Now do y’all like this style or the blossom one ? Anyways, I hope you have a good day/night and TOOOODLESSS!!!! Hey guys ! So I just finished an artwork, and it looks like a character from a book I’ve read! So here is .. Leo Valdez from Percy Jackson, heroes of Olympus! Anyways I made this drawing using soft pastel, and then colour pencil in top! It looks pretty good but I would like your feedback to help improve it more! So for anyone wondering Leo has fire powers and is very good at inventing things! He has a pretty humorous personality. So in this picture he has smoke from stuff he’s been making. So I hope you like it ! Let me know if want me to do more ! Oh and the next power puff girls is on the way ! TOOOODLESSSS !!!! Hey guys ! So recently I drew this artwork of this guy, in red pen! I really enjoyed the process, an I would like to do more similar! So what do you all think !? Anyways what colour pen should I use next time !!? See you guys later… TOOODLLEESSSSSSSE!!! Hey guys ! So this is a new drawing I made using my markers! Please let me know what you think ! And so I made this with more different colours then usual. For example, I used more red in the skin and did some more shading ! Hello guys ! So I just wanted to learn more about drawing people and I realised that I never really draw the whole body. So for the next few drawings I would like to try to draw full bodies of characters and not just the head. Hey guys! Sorry I haven’t been able to post for a while. Anyways today I drew blossom from power puff girls! I started off by sketching and then colouring it in, then I outlined it to finish it off. I created her in my own art style. Hey you guys! I’m back from Japan 🇯🇵 I really enjoyed my time there! So I actually drew this watercolour artwork at my friends place. I reaaallly need to improve on my watercolour skills. It’s another galaxy girl…. I seem to be obsessed with these 🙂 I didn’t really get time to do it properly however I tried my best! Anyways I hope you like it and don’t forget to like and follow !! TOODLESSS!!!!! Hey guys! So this isn’t really a post, but it’s an update! I have actually been in Japan for the past week and I have not been able to post very often. I am really enjoying it here and I will be back very soon. I actually bought a lot of new and cool things! These are some places and temples that I visited. There are a lot more- plus I’m going to see Mount Fuji right now! Talk to you later! TOODLESS!!! Hey everybody! Sorry for not posting in a while, I have been I bit busy but expect more posts sooner or later. I just realised, that I haven’t actually done a tutorial or how or how I actually draw my pictures. So I will definitely try to do a tutorial in a future post! Anyways, today I have not one but two digital artworks to show you all! The first one has a lot of glow and highlights. The second one is also nice and focuses more on details but does not have that much light. So yeah if you like these, do not forget to like and follow! Comment which one is your favourite,( mine is the first one!!) and so…… TOODLESSS!!! !